We were commissioned by WSP Parsons Brinckerhoff to assist them in the design of a new bus interchange for Sudbury in Suffolk. This followed an earlier successful collaboration on a bus interchange for Newbury. 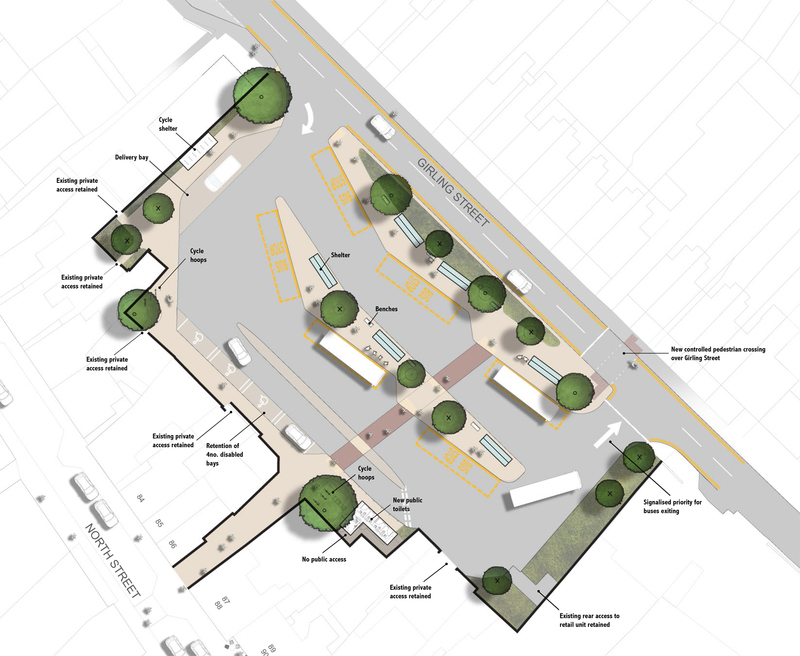 The new facility in Sudbury was required as the site of the current bus station has been earmarked for development as part of the regeneration of the Hamilton Road Quarter. Following various studies, technical work and consultation with the public and stakeholder groups, a preferred scheme was decided upon. The new interchange provided six bus stop bays with shelters accessed by a safe pedestrian crossing. It also included new public toilets with a Changing Places facility, additional cycle parking, improved soft and hard landscaping and retained disabled parking and loading/delivery bays.